Do you sometimes feel that your brain is functioning at a less than optimal level? Do you feel foggy and scattered from time to time and wonder what you could do to change that? Do you want more focus, clarity, a better memory, and an enhanced feeling of mental well-being overall? You’ll be pleased to learn that it’s possible to boost brain function through lifestyle changes, supplementation, and brain exercise. Scientific research has revealed several important factors you can control to improve your mental functioning. Keep reading to find out simple ways to build and support your personal best brain! Lifestyle factors have a huge impact on your brain health, including (but not limited to) sleep, exercise, meditation, and oxygenation. You can’t habitually deny your brain adequate rest and then expect it to function well for you. Sleep not only refreshes your physical body; it resets your mind as well. Memories encode overnight in your sleep, and the way the brain functions throughout the sleep/dream cycle enhances creative connections between ideas. Inadequate sleep also affects your ability to experience gains from exercise. Even if you have a busy lifestyle, be sure to schedule between seven and nine hours of sleep. Teens and young adults need around nine hours, while many older folks function can function well with seven or eight. The link between physical exercise and mental functioning is well-established. As humans, there is evidence that we evolved our large brain size as well as other physical characteristics through endurance activities. We now need that level of exercise to function as we are meant to. Even small amounts of cardiorespiratory exercise such as regular walking can make a difference, but you will experience the most benefits with more vigorous cardio such as jogging, running, or dancing. Exercise increases the production of BDNF (brain-derived neurotrophic factor), a compound which protects and supports brain cells, improving memory and learning. Just like a muscle, the brain requires blood flow to function optimally. 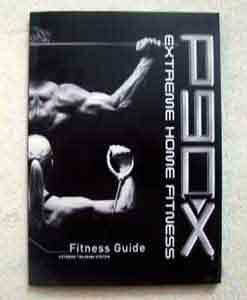 Exercise naturally increases blood flow to the brain. Regular meditation, such as mindfulness meditation and transcendental meditation, boosts brain function while enhancing mental and emotional well-being. Transcendental meditation, or TM, has found to be particularly effective in scientific studies. TM improves executive functioning of the brain, leading to better decision-making. TM also leads to more flexible thinking and improved working memory. Meditate twice daily for twenty minutes, upon rising and before bed. Building and maintaining a pristine cardiorespiratory system is vital to brain health. The brain relies heavily on oxygen for efficient function. Obviously, exercise is the best way to enhance your cardiorespiratory health. However, many people, even very fit folks, overlook the importance of proper breathing for optimal oxygenation. Read the AskTheTrainer article Breathing During Exercise to learn how to breathe correctly. If you are like many people in our stressed-out culture, you may forget to breathe well. It takes practice to retrain yourself to breathe deeply and efficiently. Try yoga and/or meditation to break yourself of shallow breathing habits. 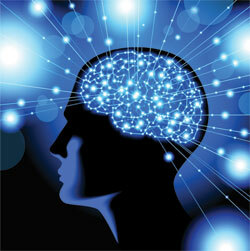 Healthy diet and proper supplementation play a large role in brain function. Scientific research has revealed exciting benefits to brain health associated with a few key supplements. Omega-3s improve mental function in healthy folks, decrease symptoms of depression, anxiety, and other mental/emotional disorders, and can even reverse the effects of degenerative brain diseases in older adults. Your body cannot produce these nutrients on its own, so you must get your Omega-3s from eating fish or liver, or from taking supplements. If you go the supplement route be sure to purchase a high quality fish oil supplement. 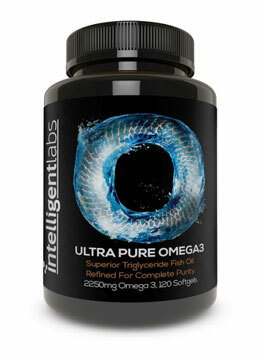 Intelligent Labs offers a quality fish oil supplement – Intelligent Labs Omega 3. 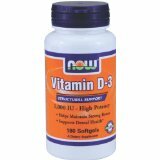 There are Vitamin D pathways in the brain in areas responsible for memory, planning, and information processing. Sun exposure allows the body to naturally make its own Vitamin D. If sun exposure isn’t an option, consider investing in a full-spectrum light or visiting a safe tanning salon (although opinion varies on that second one), and taking a D-3 supplement. Probiotics support the formation of healthy intestinal microflora. You may be surprised to learn that the gut has a direct line to the brain through the vagus nerve, and plays such an important role in brain function that it’s often referred to as “the second brain”. You even have neurons in your gut which produce serotonin, an important neurotransmitter! If your microflora profile is suboptimal, your whole intestinal system will be off, directly affecting brain health. To boost your friendly microflora, add probiotic-containing foods such as plain yogurt and fermented foods to your diet while reducing consumption of sugars and processed foods. 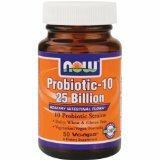 You can also take probiotic supplements to further support your intestinal health. Other important supplements worth looking into include Vitamin B12 and medium chain fatty acids (such as those found naturally in coconut oil). Both of these nutrients can be obtained through diet or through supplementation. Games and exercises designed, tested, and researched by neuroscientists. Offers a personalized training program aimed at helping you achieve goals you define. An online library of tons of free brain games claiming to enhance memory, concentration, and more. More research needs to be done in this area to better establish the link between brain exercise and brain function. As of now, better evidence exists for the effects of lifestyle factors and supplementation on brain health. However, brain-training games are lots of fun and certainly can’t hurt (unless you get addicted and spend hours staring at the computer, of course!). My advice is to try them out and see if you notice any benefits to your own brain function. Other activities which may boost brain function include listening to and playing music, playing board games, dancing (try Zumba to combine dance and exercise! ), and being more sociable with your fellow human beings. Being good to your brain should be a priority among those living the fitness lifestyle. If you focus on improving your brain health, you are sure to see improvements all across the board in terms of health, happiness, athletic performance, and overall well-being. Try implementing the lifestyle, supplementation, and brain exercise tips from this article to see what works best for you.